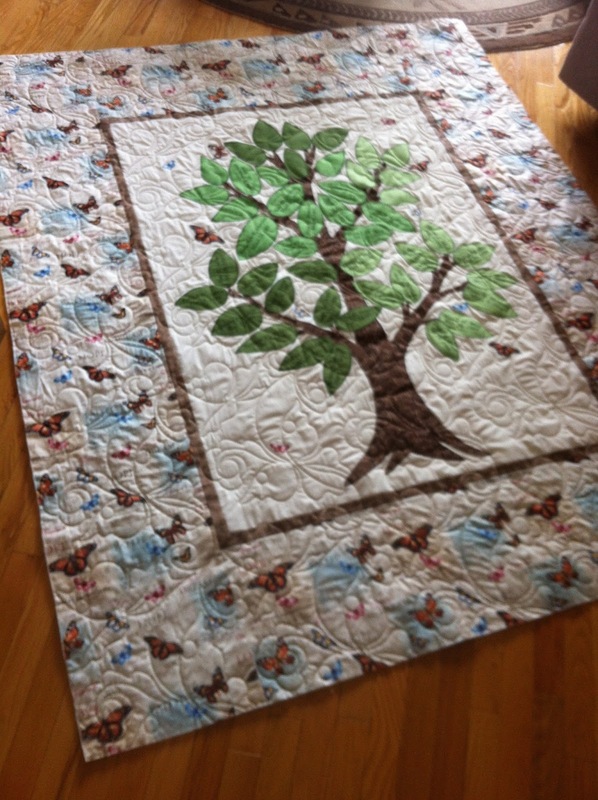 Recently I completed a family tree quilt. This was a challenge for me, not just to put it together, but to use the ideas and feedback from my customer and adapt the design to the size of the embroidery. 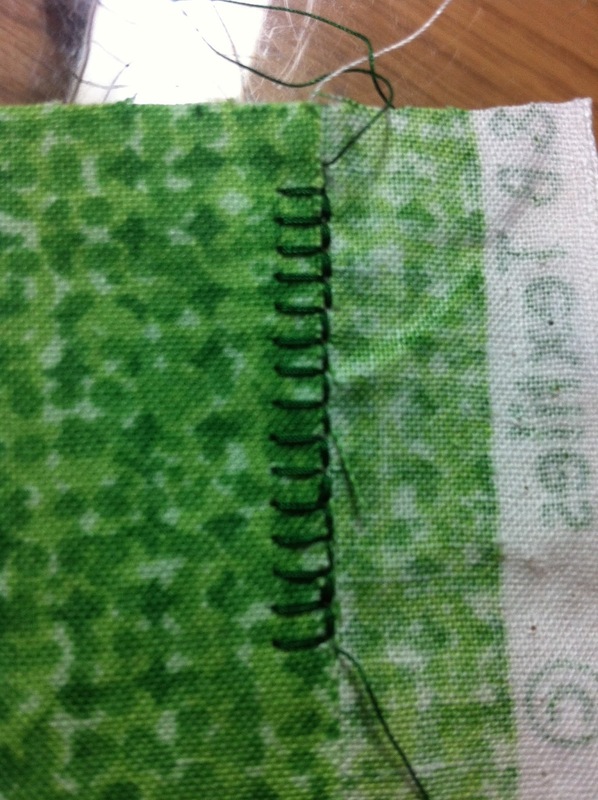 The details were fused on with Steam a Seam and then button hole stitched. The customer found some butterfly fabric she really loved and it is used as the border. It is quilted with an all-over butterfly pattern that reflects the butterflies in the border. 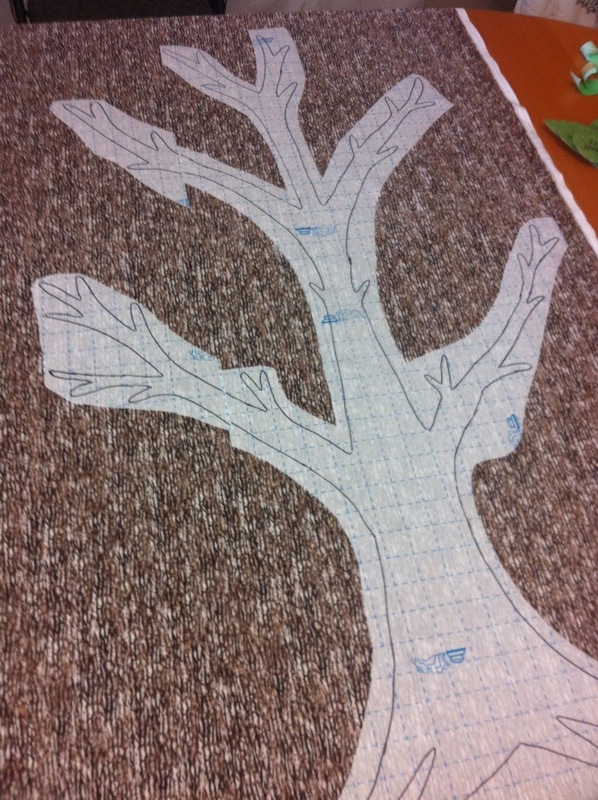 I love the fabric that you used for your tree. Who makes it? Is it something I can order. It is a really cute quilt. I have to make one and am really inspired by yours. Hi Brenda! 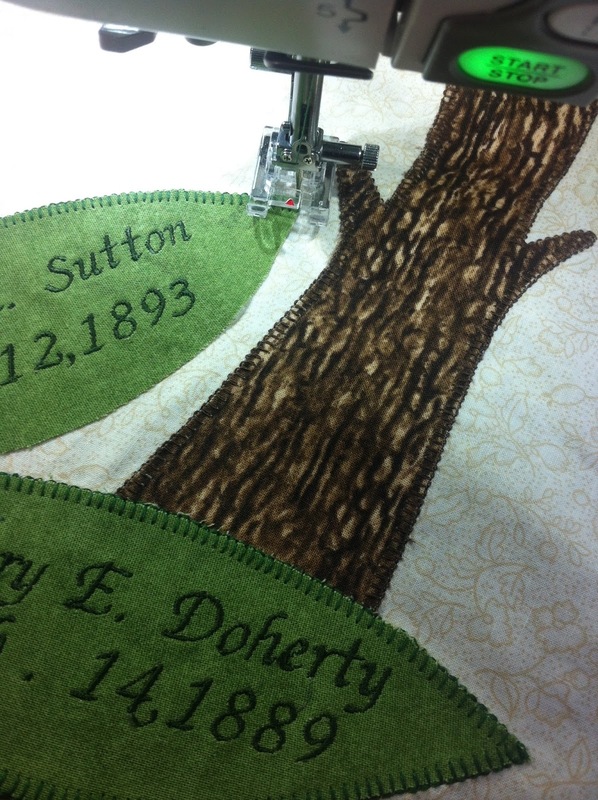 The tree trunk fabric is from Wilmington Prints from their "Before the Frost" line. If you can't find it anywhere, just pop me an email at magpiequilts@gmail.com as I still have quite a bit left.